Ever since he was a photography student, Yervant Zanazanian wanted to photograph weddings. While other students had different ambitions or weren’t yet sure what they wanted to capture, Yervant knew where he wanted to point his camera. He wanted to take on the task of capturing a bride and groom’s celebration of their love for one another. A task like this requires finesse and artistic innovation, because photographing a wedding is more than just taking pictures—it’s about capturing a mood and a memory which will be treasured forever. One of the weddings Yervant captured was the marriage of his beautiful niece Jessica Aznavorian to Robert Tadros. 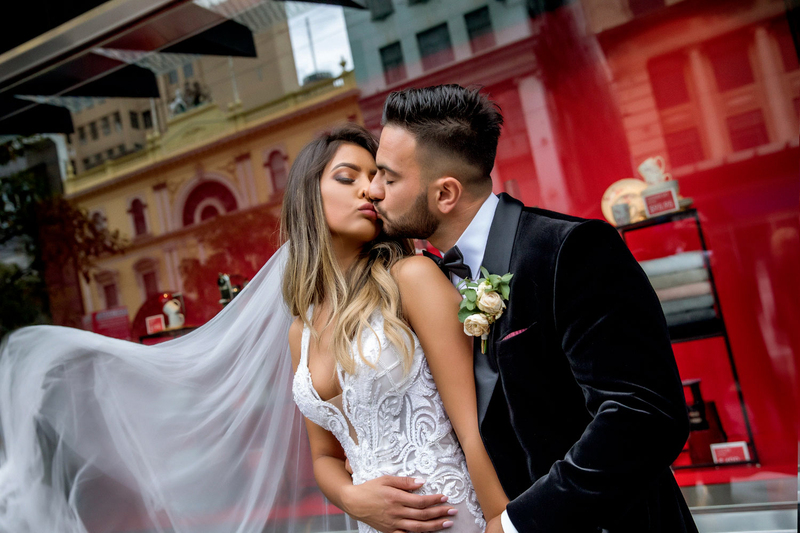 Combining different international cultures, Rob and Jess’s wedding was a passion project for Yervant and an ideal task for any budding photographer. This is the story of Jess and Rob’s wedding. That was all it took. They were engaged three years later. When she turned back to Rob, he had the ring in his hands. Speechless, Jess choked out a ‘yes’, after what was surely a very suspenseful 30 seconds for Rob! Jess and Rob got married in the elegant Armenian Apostolic Church in Surrey Hills. 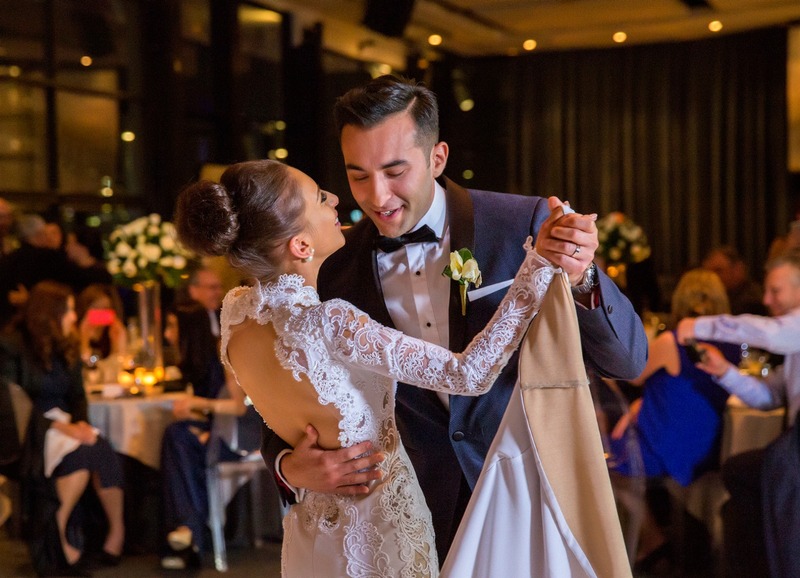 Rob and Jess come from Egyptian and Armenian/Italian cultures respectively and they wanted the wedding to be representative of their cultural heritage. This resulted in two priests and a ten-piece women’s choir, creating a unique, multicultural atmosphere. 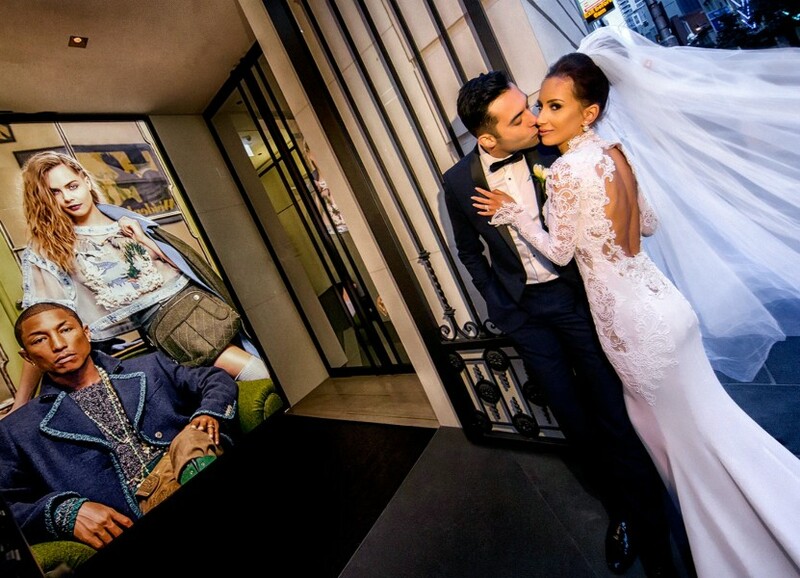 For the ceremony, Jess wore a wedding dress designed by Julie Vino. It was an airy gown with guipure lace adorned with hand embroidered Swarovski crystals and peals. Complemented by Pigalle pumps and Dior Tribal pearl earrings, Jess boasted a look of elegant beauty. Rob was sophisticatedly clad in a tailor-made blue dinner suit with the groomsmen in black dinner suits. The reception was held at Luminare, an attractive, modern rooftop bar with dizzyingly beautiful views of the city all round. The guests danced to Armenian, Italian and Egyptian music all night, embracing the mix of cultural influences. To capture a wedding like this would take a photographer with a vision. Luckily, Yervant always brings his own vision and style to every wedding shoot. 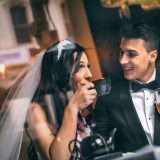 Many of the photos Yervant took express the pure joy the bride and groom are feeling at the time, with some fun shots and other, more serious and elegant ones. Walking backwards as the newlyweds come towards him, flanked by the groomsmen and bridesmaids, Yervant manages to capture real, human expressions, instead of only photographing still poses. 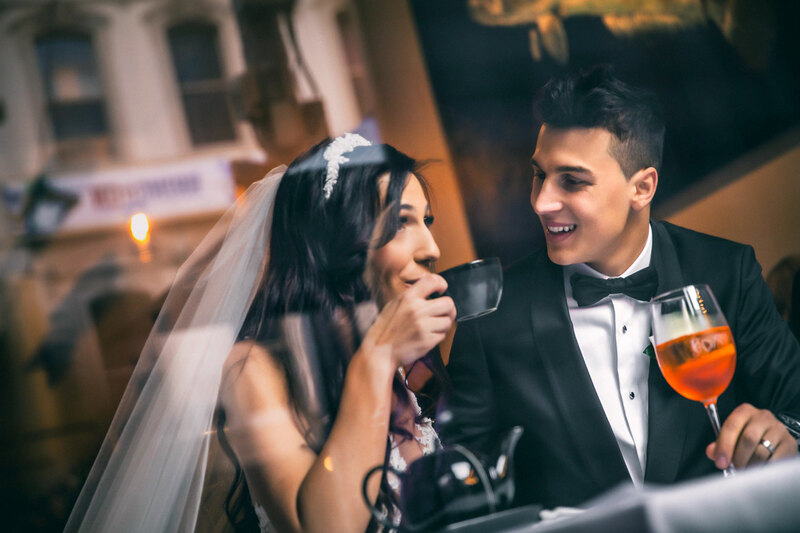 He and his camera portray both the celebratory nature of the wedding with shots of the guests, as well as the personal bond between the newlyweds in private shots. To convey the mood in each picture, Yervant used his signature digital photography style. He captured movement and stillness using a combination of colour or black and white, depending on the nature of the shot. 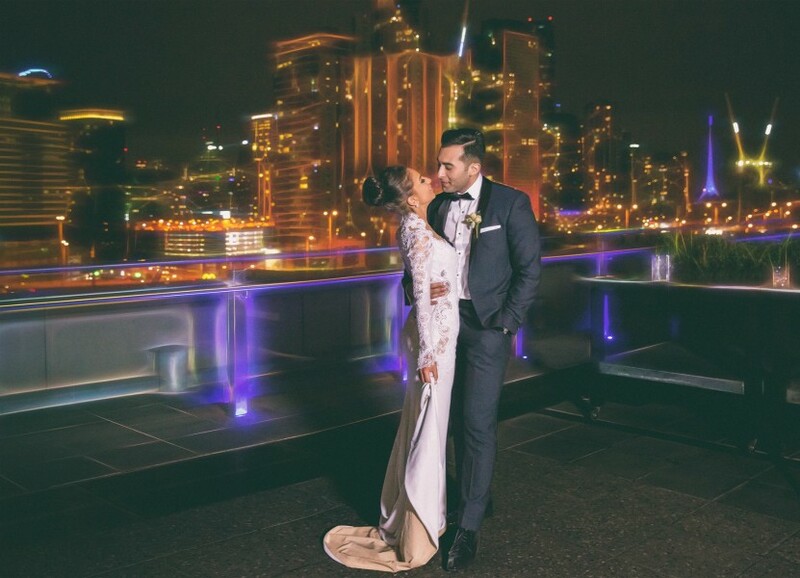 A shot of the couple embracing has the city blurred in the background, putting the focus on the two newlyweds. Jess and Rob could not have asked for a finer wedding, nor for a more talented photographer to capture it. Always amazing… Truly inspirational work! Stunning photos! Excellent captured. I like your concept and ideas.